I've been late getting to the retiring players this year so I thought I'd start off with a fairly easy one - easy only in that I don't have many cards of the player. 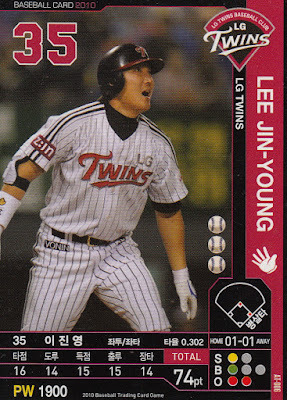 Jin-Young Lee announced his retirement last month, bringing his 20 year career in the KBO to a close. Lee was originally drafted by the Ssangbangwool Raiders in the first round of the 1999 KBO draft out of Gunsan Commerce High School. 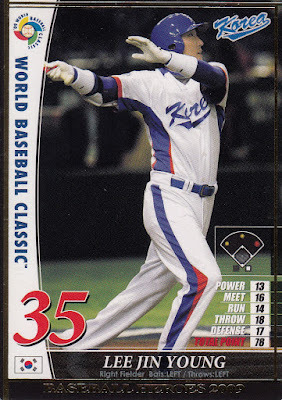 He made his debut with the Raiders in May of 1999. 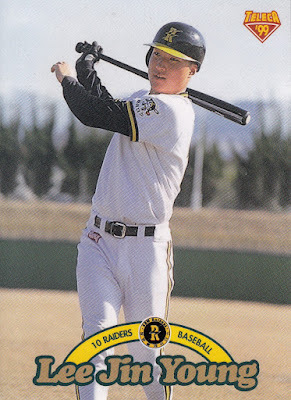 The Raiders folded following the 1999 season and many of their players (including Lee) joined the SK Wyverns, the team that replaced the Raiders. 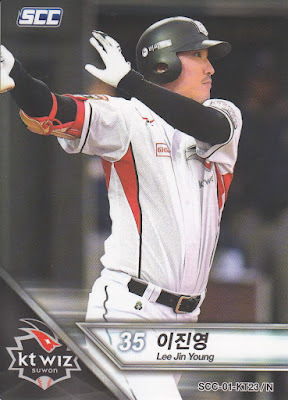 As far as I know he's the last Ssangbangwool player who was still active. 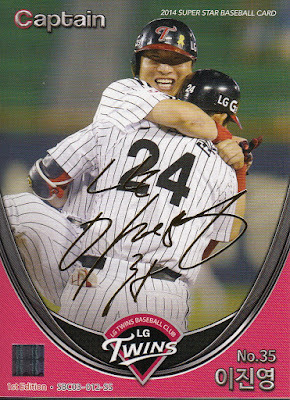 He played for the Wyverns through the 2008 season after which he became a free agent and signed with the LG Twins. Following the 2015 season he was taken by the KT Wiz in the expansion draft (at least I think that's what happened). 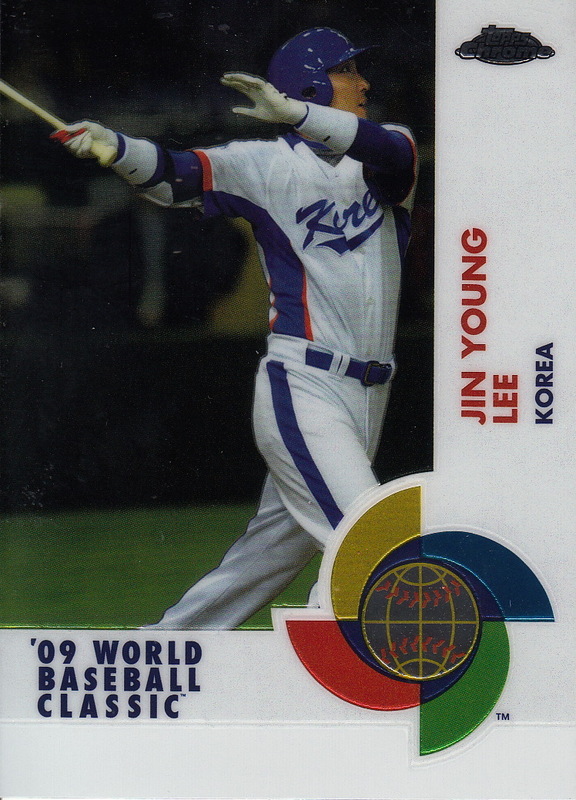 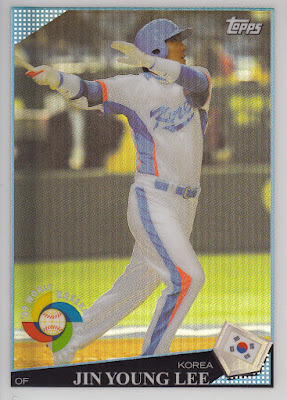 He played for Korea in the 2006, 2009 and 2013 World Baseball Classics as well as for their gold medal winning team in the 2008 Olympics. Here's a smattering of his cards - there's a somewhat comprehensive list over at TradingCardsDB.com.